Parag Khanna is a “celebrity” geopolitical strategist who was born in India, educated in the United States and the U.K., and who has traveled to more than 100 countries. 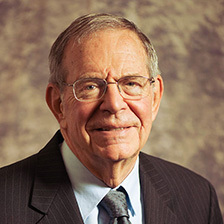 He served as a senior geopolitical advisor to U.S. Special Operation Forces in Afghanistan and Iraq, is a senior research fellow at the University of Singapore, and lectures frequently on “global trends and scenarios”. 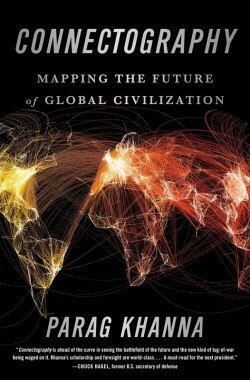 Connectography, published earlier this year, is Khanna’s book about globalization from a geopolitical perspective. Khanna believes that “Nothing tells us more about the future of geopolitics than tracing infrastructure projects on the ground.” Khana is fascinated by maps, but he dismisses political maps as “one of history’s foremost propaganda tools.” He believes that “The best maps juxtapose physical geography with man-made connectivity. The book includes 38 attractive colored maps that illustrate everything from the spread of special economic zones to global migration. Apparently informed by his experiences in Afghanistan and Iraq, Khanna argues that many nation states that encompass ethnic and religious groups in conflict are now “devolving” into their constituent parts. He believes that this is generally a positive development and should not be opposed (as the United States has opposed devolution in Iraq and Afghanistan). Khanna then points out that this “great devolution” into more homogenous ethnic and religious groupings is being counter-balanced by an increase in the groupings of nations into economic mega-units, such as the European Union, the Association of South East Asian Nations, the Eurasian Economic Union, the North American Free Trade Agreement, and hundreds of other supra-national economic arrangements. Khanna calls this “aggregation” and contends that this represents “the next phase of history.” Underlying the trend toward economic aggregation are increasing complex supply chain structures anchored in special economic zones and modern logistics centers such as Singapore, Dubai, and Hong Kong. The heart of Connectography is Khanna’s argument that geopolitics is no longer synonymous with the conquest and control of territory. Rather, according to Khanna, today the “most connected power wins.” However, Khanna makes the mistake of conflating physical infrastructure investments, modern logistics centers and supply chains with connectivity, and concludes that China, because of its massive investments in infrastructure and mastery over physical supply chains, may soon surpass the United States in geopolitical power. However, if we look back through history, we may ask how China’s most massive infrastructure project, the Great Wall, which purportedly provided both border security and improved logistics on China’s northern border, turned out – ultimately not too well against Mongol and Manchu invaders. “Connectivity”, properly defined, includes much more than infrastructure and supply chains. We live in an age in which trade in physical goods is becoming less important (services account for about 80% of the U.S. economy) and economic “connections” are driven by financial, transport, consulting, software, entertainment, legal, engineering, logistic and other services. Notably, none of the 38 maps included in the book depict trade in services. And in contrast to China, the U.S. is the international colossus in innovation and trade in services, regularly recording massive trade in services surpluses. India, a nation that Connectography mostly ignores despite having a population comparable to China’s and a growth rate now higher than China’s, is also a trade in services powerhouse. Connectography is written in an engaging conversational style, with many interesting ideas, personal anecdotes, and a wealth of information and it is worth reading for these reasons. However, as an overview of globalization it suffers in comparison with books such as Thomas Friedman’s The World is Flat, and Dani Rodrik’s The Globalization Paradox. Friedman, a New York Times journalist, did an admirable job more than ten years ago describing the forces driving globalization, which include, but are not by any means limited to, supply chains and infrastructure investments. Rodrik, a highly respected Harvard economist, argues that deep globalization, national sovereignty and democratic governance cannot coexist. He argues for “shallower” globalization to preserve national sovereignty and democratic governance. Connectography also ignores the importance of governance systems to globalization and economic development. In their recent book, Why Nations Fail, economists Daron Acemoglu and James Robinson use historical analysis to argue that it is man-made political institutions that underlie long-term economic success. Inclusive political systems, such as those that developed initially in the United Kingdom and United States and more recently in nations as diverse as Japan, South Korea, Taiwan, Botswana, and Singapore, provide the foundation for inclusive economic systems that allow citizens to work, save, invest, and innovate. On the other hand, extractive political systems benefit only a narrow elite and cannot lead to prolonged long-term rapid growth. Impressive short-term growth rates resulting from massive infrastructure investments and/or natural resource exploitation can be realized by undemocratic regimes such as Saudi Arabia, the Soviet Union and the Peoples’ Republic of China, but in the longer term these economies fail unless an inclusive political regime is adopted. Stephen Creskoff is an international trade lawyer, trade consultant and trade facilitation expert who has worked in more than 50 countries. His book, What You Need to Know to Go Global, was published in 2016.